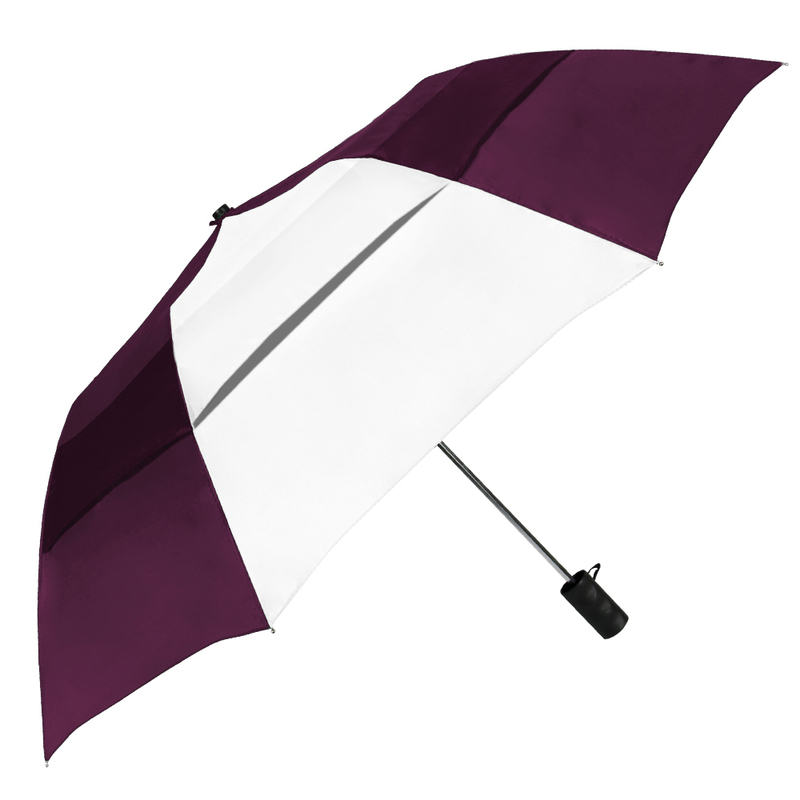 If you're in need of a large yet compact folding umbrella, look no further. 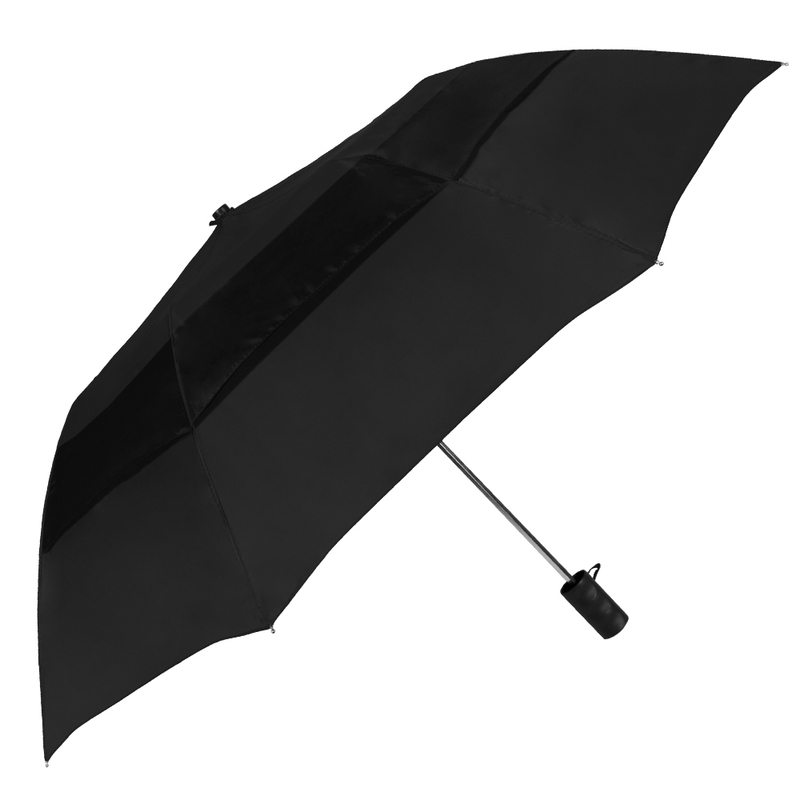 The Vented Grand Practicality has a 46" arc and folds to only 17" long. 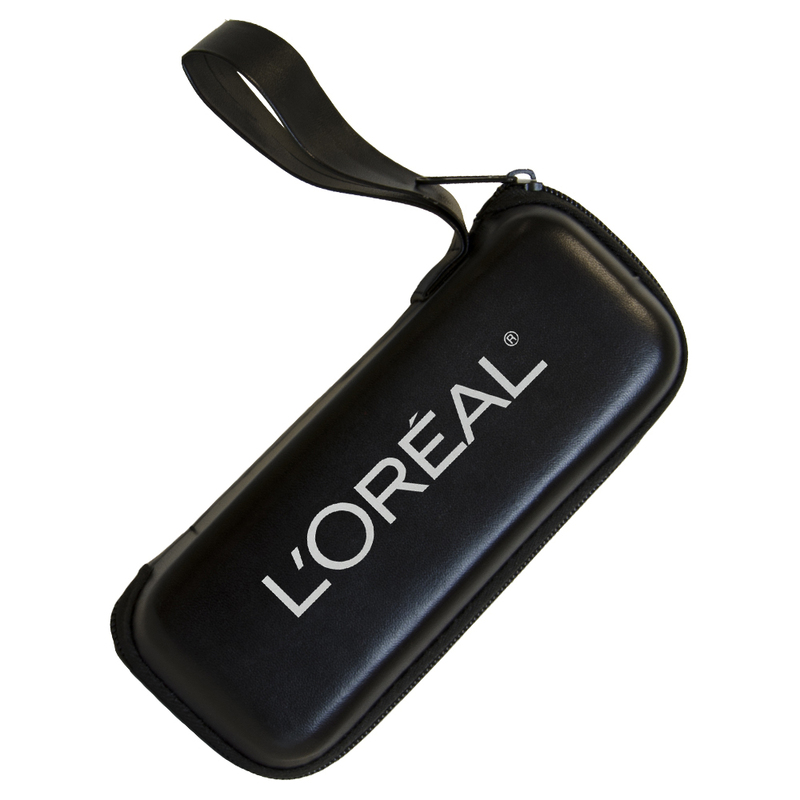 It offers generous coverage and easy storage along with a classic look.